Does General Liability Insurance Cover Everything? The short answer is no. But let’s take a deeper look into what general liability insurance does not cover. General liability is an important insurance policy for all business owners, but every business owner should know that this crucial insurance policy does not cover every incident. 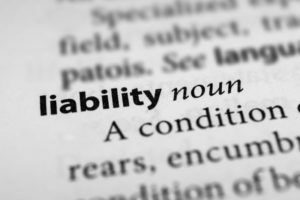 In fact, there are many more things that general liability insurance does not cover than it does, and it’s important for all business owners to know what those things are. Employee Injuries – If your employee becomes injured or sick while on the job, your business will likely be held liable to pay for medical bills that result from that accident. Workers’ compensation is what you need to cover your business. Property Damage – Damage to your property is covered by property insurance, not general liability. That is unless that property damage was done by your business to a third-party person. Professional Errors – If your product or service does not work as advertised, you could face a lawsuit. Professional liability is the policy that protects your business from this allegation. Vehicle Damage – If your employee is driving to meetings or delivering goods and they get into an accident, their personal auto insurance will not cover them. Rather, it will be your business that needs to pay for your employee’s damages to the person into whom they crashed. Commercial auto insurance has your back in this situation. Employment Arguments – If one of your employees claims you wrongfully terminated them, gave them emotional distress, and then decides to sue you, employment practices liability insurance protects you, not general liability insurance. A business requires many insurance policies in order to be financially protected against the accidents of the world. At Pierce Insurance Group, we are committed to insuring your company with a tailored business insurance policy. Talk to one of our insurance agents today!